The B&B ITALIA, founded in 1966 by Piero Ambrogio Busnelli is the leading furniture store started in Italy but now spreading across 54 countries all over the world. 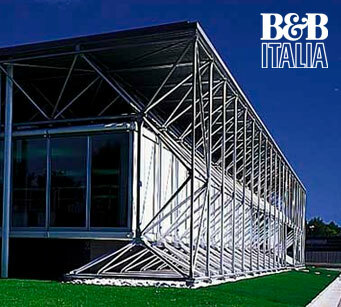 The modernization and industrialization in Italy works as a stimulus, for B&B Italia designed furniture. It has become an international brand within a short span of time offering a wide range of stunning Italian designer furniture. This beautifully highly elegantly designed furniture is unique for their individuality and helped throughout ages for turning one’s dream home into reality. The contemporary designers of this company make the high quality B&B Italia outdoor furniture stylistic as well as comfortable with a strong and recognizable personality by using the technology of injection molding.